Locally Brewed celebrates the Midwest's craft brewing movement with profiles of 20 of the area's brewmasters and their breweries. These are entertaining and inspiring stories of the individuals who have been essential in the exponential growth of this movement, as told through vivid interviews, beautiful photography, and dynamic artwork. 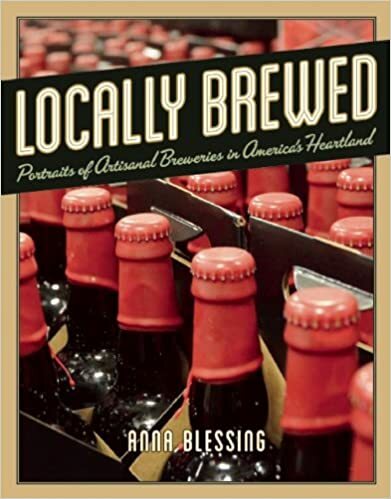 This is a book that can be enjoyed by the “beer geek” and the casual imbiber alike, as it emphasizes the people behind the beer as well as the beers they brew. Special sidebars and pullouts show what makes each brewery special, weaving together the story of the indie beer movement, relevant to both small-town Midwesterners and big-city beer lovers.